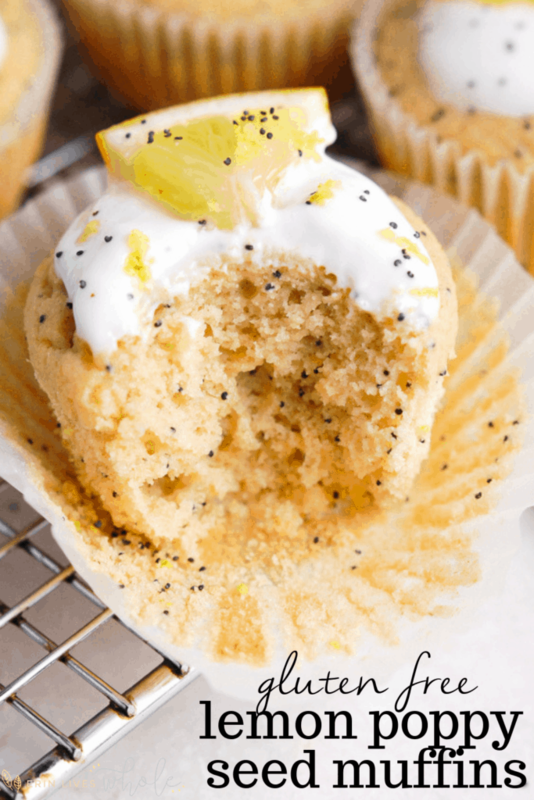 This is the best easy recipe for healthy lemon poppy seed muffins with lemon glaze. Made with gluten free oat flour, Greek yogurt, maple syrup makes these bakery style muffins moist and fluffy! 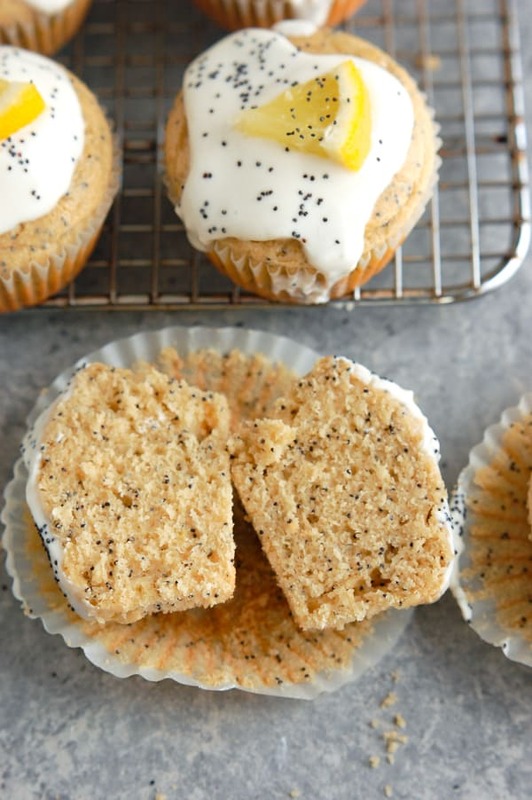 Lemon poppy seed muffins, you will always have a special place in my heart. 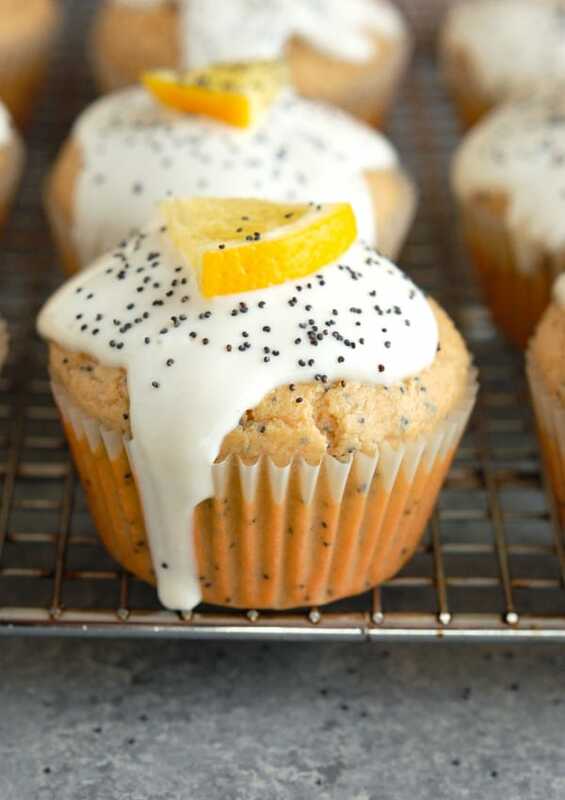 I’ll never forget when my mom used to bring home the plastic cartons of mini lemon poppy seed muffins from our local grocery store once a month. She would rotate between all different flavors, like blueberry, apple cinnamon, banana walnut, and of course, my favorite lemon poppy seed. And as funny as it is, I was never a lemon loving girl. I almost always preferred something chocolate-y or with peanut butter, but if those muffins were an option, I was picking them. I remember one time in specific I was a little too aggressive and decided to each the tops off of each one, leaving only the base of the muffins left. My mom wasn’t too thrilled. So now here I am twenty years later, making my own healthy version of my favorite lemon poppy seed muffins! 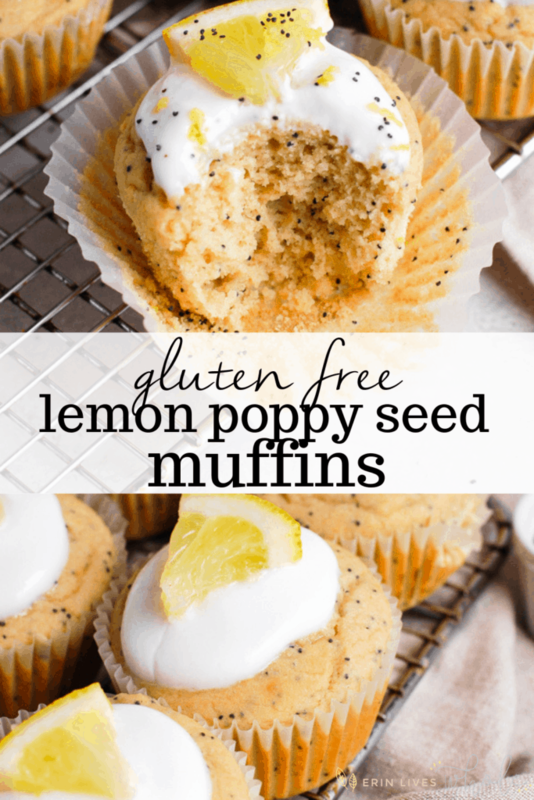 A healthy lemon poppy seed muffin that is filled with nutrient dense wholesome ingredients made from real food. One that still tastes delicious without sacrificing flavor just because it is made healthy. Ain’t nobody got time for that! My favorite way to eat them? Warmed up in the microwave or crumbled on top of a Greek yogurt bowl. Yum. 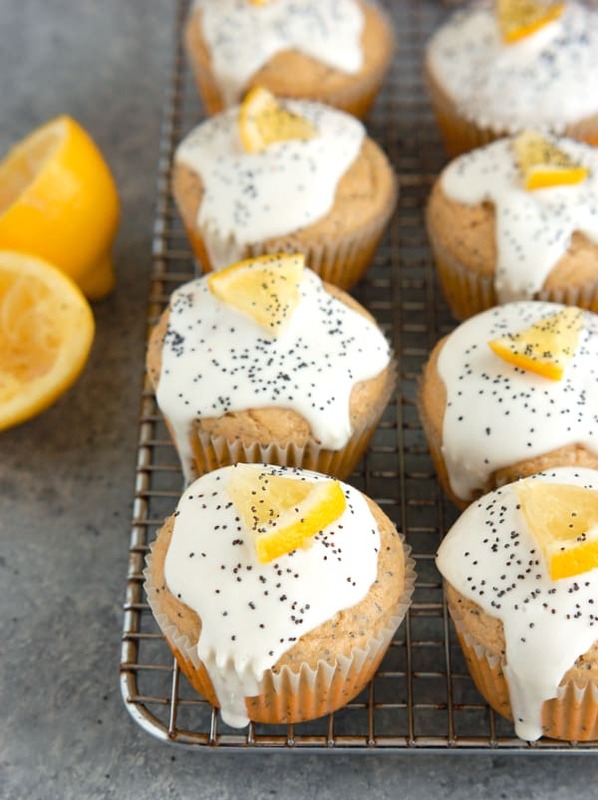 What are the main ingredients in healthy lemon poppy seed muffins? Greek yogurt – adds the perfect moisture content! Use a Greek yogurt with a little bit of fat in it, it really makes the difference in a higher moisture content. Maple syrup – one of my favorite natural sweeteners, maple syrup could easily be swapped with honey or agave. Coconut oil – my favorite oil for baking! Recently have been using refined coconut oil in order to remain completely flavorless and not leave behind a coconutty taste. Eggs – Help provide some structure to these muffins. Haven’t tried with flax egg but if you do, be sure to let me know! and lots of fresh lemon for that delicious lemon flavor! They are actually quite easy to make and you can prepare the glaze while you are waiting for the muffins to cool, and then in less than an hour you will have beautiful muffins all ready for eating! You just need to combine your dry ingredients like oat flour, baking soda, baking powder, and salt. Then in a separate bowl, combine wet ingredients like eggs, maple syrup, coconut oil, Greek yogurt, lemon juice, and vanilla. Add the dry ingredients to wet, and stir till well combined. Then add in the lemon zest and the poppy seeds and pop them into a lined or greased muffin tin and bake! While the muffins are baking, prepare the lemon glaze for on top. In a bowl, mix together Greek yogurt, powdered sugar, vanilla, and lemon juice. 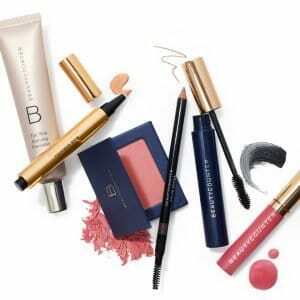 If you want it a little thinner or a little bit thicker, adjust to your liking. Once the muffins have completely cooled, dunk them in the glaze or spoon a little bit right on top. 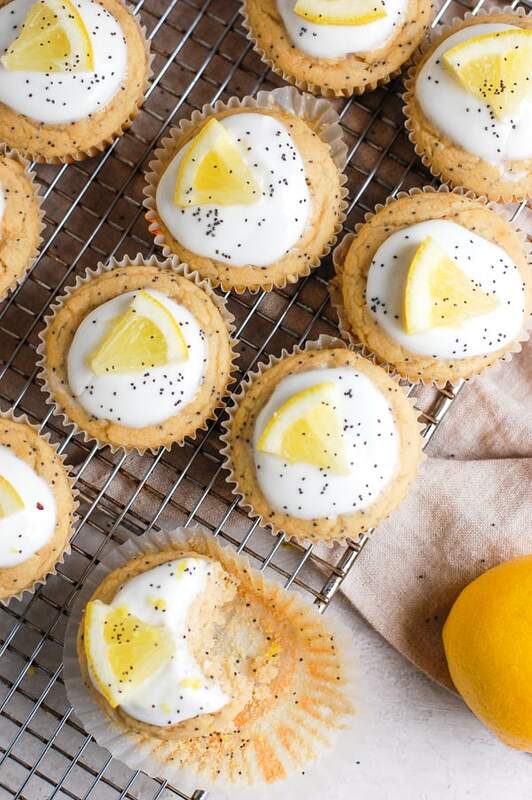 I topped mine with additional lemon slices and poppy seeds for garnish. 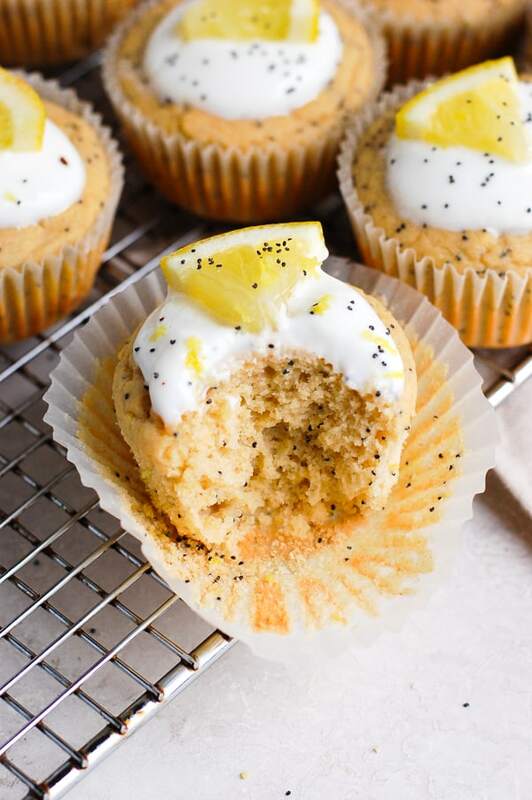 What’s the best way to store lemon poppy seed muffins? Since there is Greek yogurt in the icing, I stored mine in the fridge in a Tupperware container with a lid. When I wanted to eat one in the morning, I would pop it out and let it sit for about 15 minutes to get to room temperature! Or you can microwave it. These muffins will also freeze well, so you can do that by putting them in a ziplock bag and freezing for up to six months! 1 tsp lemon juice, freshly squeezed. Preheat oven to 350F and line a muffin tin with liners or spray. In a small bowl, mix together oat flour, baking soda, baking powder, and salt. Set aside. In a large bowl, whisk eggs. Add in maple syrup, coconut oil, lemon juice and vanilla. Then add in yogurt. Fold in wet ingredients to dry until well combined, then stir in lemon zest and poppy seeds. Fill muffin tins 3/4 full and bake in oven for 15-17 minutes or until toothpick inserted comes out clean. While baking, make glaze by whisking Greek yogurt, powdered sugar, vanilla, and lemon juice together. Once muffins are completely cool, dip them in the glaze or drizzle on top. Store in fridge and enjoy in 5 days or freeze for later! 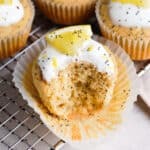 There is just something about lemon poppy seed muffins and these taste like the ones I used to have from the store as a kid. What would you sub the yogurt with to make dairy free? Dairy free yogurt – but will be better if it has some fat in it! You can definitely try, but I think it will be too moist so I would take out the yogurt and add another egg. I just made these with the yogurt glaze – they were AMAZING. I don’t have oat flour and didn’t want to make any, so I substituted for 1 cup of almond flour and 1 1/4 cup of all purpose flour and they were perfectly moist. What kind of Greek yogurt did you use? Was it plain? Also, what can you substitute the powdered sugar for in the glaze? Plain greek yogurt and can sub maple syrup but may be more liquidy! I am vegan, so I replaced the eggs with one banana and one flax egg (I added the banana for lightness). Instead of Greek yogurt, I used a vanilla bean cashew based yogurt (it’s what I had in the fridge). I also cooked it as a loaf and used a lemon glaze. It turned out amazing – and everyone seemed to really enjoy it. I can’t wait to make it again. All of those swaps sound amazing, Hannah! Thank you so much for sharing!